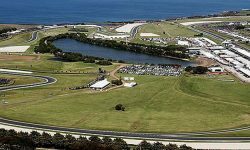 MotoGP kicks off its 2015 campaign at Losail International Circuit this Sunday, but according to the markets the stage looks set for defending world champion Marc Marquez to scare off the competition early doors. You can have 9/2 about Marquez’s nearest rival Jorge Lorenzo dethroning the champ over the course of the campaign, which makes the 22-year-old Spaniard, who is gunning for a third successive title, even more dominant in the MotoGP markets than Lewis Hamilton in Formula One. The best bet of the season could be 4/5 on the son of Catalunya clocking the fastest lap in today’s qualifying, considering he’s 11/20 to win the race and 2/5 to be crowned champion again at the Valencian GP in November, a startlingly short price prior to a lap being completed in earnest. The reason for such optimism is Marquez’s ridiculous record last season, when he won the first ten races of the campaign and regained his crown with three rounds to spare. 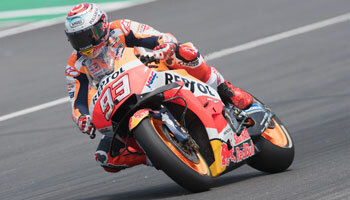 He also broke the record for pole positions in a season, with 12, and matched Mick Doohan’s 1997 tally of wins in a season with the same number, meaning Marquez has claimed a staggering 44 of his past 87 races in MotoGP, Moto2 and 125cc competition. 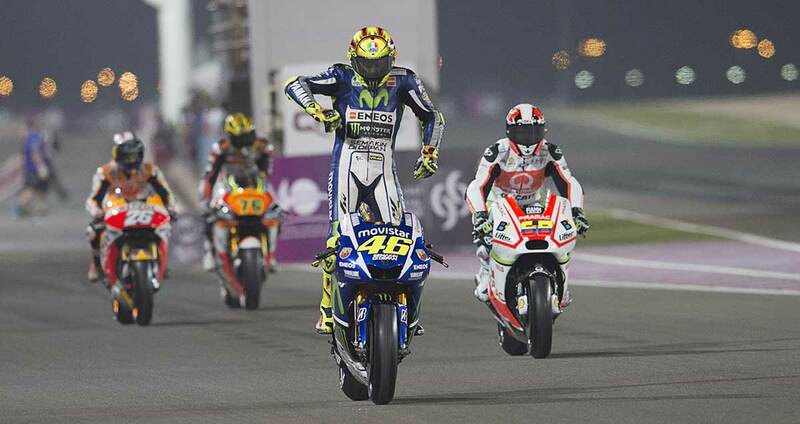 However, for punters eager to bet on an opening-day upset in Losail, Valentino Rossi could be the answer at 15/2. 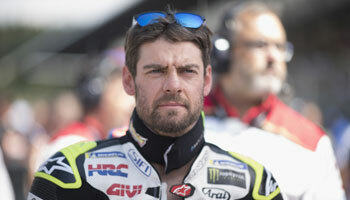 The six-time world champion and 2014 runner-up was one of only a few riders to win a race last year (two in fact), and the 36-year-old chased home his young competitor for second in Qatar, having beaten the Honda prodigy to that position in Marquez’s first ever MotoGP race 12 months earlier. New bwin punters can use their £30 signup bonus to back Valentino Rossi to win the Qatar GP for the fourth time in is career, and claim £225 profit if he manages it.